At the 360group, we specialise in business telecommunication solutions, from landlines and mobiles for your business, and IT solutions. Based in Cambridgeshire, we have been providing our customers with an award-winning service, where we are proud to call the likes of Samsung, Fidelity, 02 and Gamma our partners. Our mission is to create value for our customers and to excel in the customer service we can provide. We hold the vision of growing through investing in our people, to aspire business growth and development in the industry. We are proud of what we do and we hold making a difference close to our hearts. We are supporting local charities like Magpas, the emergency medical charity, who make life-saving actions to those in need. 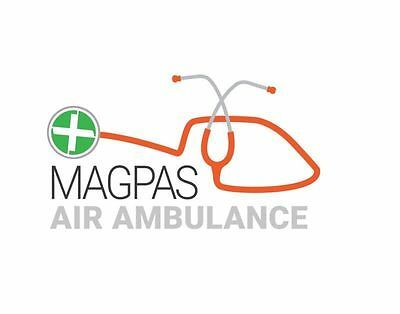 The Magpas Air Ambulance team consists of 45 amazing volunteers, both full-time and part-time doctors and paramedics, and an office team of staff members. The team has collectively treated over 60,000 patients since being formed in 1971. This figure is an incomprehensible amount and with so many families grateful to Magpas, their service is clearly essential. Magpas provides crucial lifesaving support by land and air to those in life-threatening emergencies, where every second matters. Their experts get to the scene as quickly as they can, and have saved several lives. The charity is not state-funded and so it relies on the public to make donations that keep it running. Join us and support this great charity. You can fundraise, volunteer or donate to Magpas to keep their helicopters flying above and their rapid response cars operating 24/7. Find out more information on their website here.